The Petronas Twin Towers in Malaysia’s capital of Kuala Lumpur were once the world’s tallest buildings. Others since surpassed them. Yet merely taking a quick glance at these impressive structures makes Malaysia’s aptitude for property development clear to anyone. Malaysia is home to several established real estate development firms with solid reputations. Regardless, you should pay close attention when choosing one. Picking a developer is maybe the single most important factor when it comes to buying property in Malaysia. Why is choosing a Malaysian property developer so important? Because it affects everything from your new home’s standards of finishing, to whether it will be constructed on time, to its capital appreciation potential. As a real estate investor, that last factor is especially crucial. Many purchasers don’t consider the importance of brand-name (even in a country like Malaysia which is often obsessed with such things) or its impact on future resalability. Of course, while Malaysia is blessed with tons of high-quality property development firms, not everybody is a professional. Major complaints about construction quality are plaguing several new buildings. Meanwhile, some condos built over a decade ago remain in great condition. You’ll find a wide range of building standards in Malaysia, from “premium and timeless” to “falls apart after five years”. The point is: you shouldn’t buy a house or condominium in Malaysia without researching the developer’s reputation and its previous projects. Below are the top ten Malaysia property developers ranked by their build quality, timeliness, and overall reputation. Hopefully it will help point you in the right direction when it comes to buying real estate in Malaysia. Drawing its name from the acclaimed hotel in Georgetown, Eastern & Oriental Group is one of the most well-known and established property developers in Malaysia. This “premier lifestyle property development group”, as their motto suggests, is focused on developing innovative luxury properties in a number of key locations in Malaysia and around the world. In Malaysia, E&O developed a number of resort properties on Penang Island. They include the Quayside Seafront Resort Condominiums and Abrezza Villas By-the-Sea along with luxury high-rises like the St. Mary Residences in Kuala Lumpur. 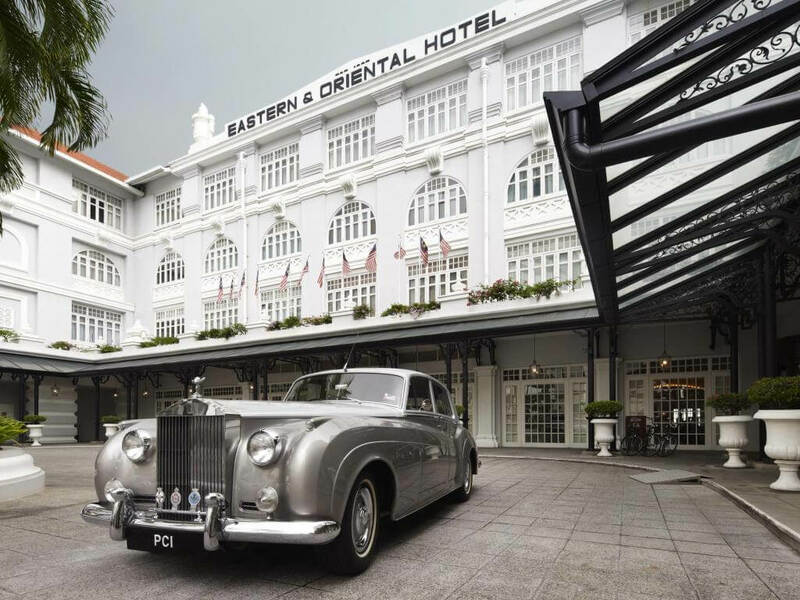 The Eastern & Oriental Hotel, located in Penang, is one of Southeast Asia’s most famous. E&O has also expanded its operations to London, where it has acquired notable buildings such as the Landmark House and Thames Tower. On top of the company’s international presence, its financial numbers are rather solid as well. E&O hasn’t made a loss in nearly a decade. Notable Projects: The Mews, Seri Tanjung Pinang, Avira Medini Iskandar, The Conlay, St. Mary Residences. SP Setia is one of the best-known real estate and infrastructure companies in Malaysia. In fact, the company has consistently taken home top awards from organizations like FIABICI Malaysia. It also won the Edge’s Top Property Developer Award for ten years in a row. One aspect of SP Setia that sets it apart from other Malaysia property developers on this list is the company’s remarkably diverse range of products. The company offers a wide range of homes from its luxurious 11 Brook Residences in Penang and Setia Sky Seputeh to cheaper options such as Sky Estadia Johor and Residensi Rimbunan Petaling in Kuala Lumpur. SP Setia has built a number of venues in Malaysia, including the Setia City Convention Center on the outskirts of Kuala Lumpur. In addition to its ventures in Malaysia, they’ve expanded to Singapore, Australia, Vietnam, and the UK. SP Setia is truly one of the most international property developers in Malaysia. SP Setia is also involved in numerous infrastructure and construction projects, including the Battersea Power Station in London. The company owns a badminton academy in Malaysia too. SP Setia has a large international presence. Their Daintree project in Singapore, rendering shown above, will be the developer’s third building in the city state. If you’re thinking about buying from Mah Sing Group, one of the first things you should notice are its financial numbers. With RM 2.2 billion in revenue in the last quarter of 2018, Mah Sing is clearly a force to be reckoned with in Malaysia’s competitive property development market. Mah Sing Group boasts a diverse roster of properties from its entry brands like Southville City to the luxurious Legenda Bungalows. Clearly, Mah Sing takes their stated goal of becoming the most innovative Malaysia property developer seriously. The company won a handful of awards for its developments from reputable organizations and real estate websites including StarProperty.my and The Edge Malaysia. On top of its excellence in property development, Mah Sing Group places a heavy emphasis on giving back to Malaysia. Their charitable donations aim to uplift Malaysian children, providing educational and community resources to underprivileged youth throughout the country. Sunway Property is perhaps best known for its involvement in the Sunway City project in Ipoh’s Tambun Hot Springs, which was incorporated in 1982. This sustainable development project has earned Sunway Property its reputation as one of the top property developers in Malaysia. Today, Sunway Property has expanded beyond the Klang Valley, and it now has developments across Malaysia and in both China and Singapore. In China, Sunway has developed a number of both residential and commercial property, and in Singapore, it has the Sunway Avant Parc, which is comprised of luxurious terrace homes. Sunway also develops a number of luxury properties in Malaysia such as its Sunway Montana-Courtyard Villas and Vivaldi Signature. However, if you’re an entry-level buyer, then you’re not completely out of luck. Properties like the Sunway Avila offer buyers a less expensive taste of Sunway’s high-quality developments. 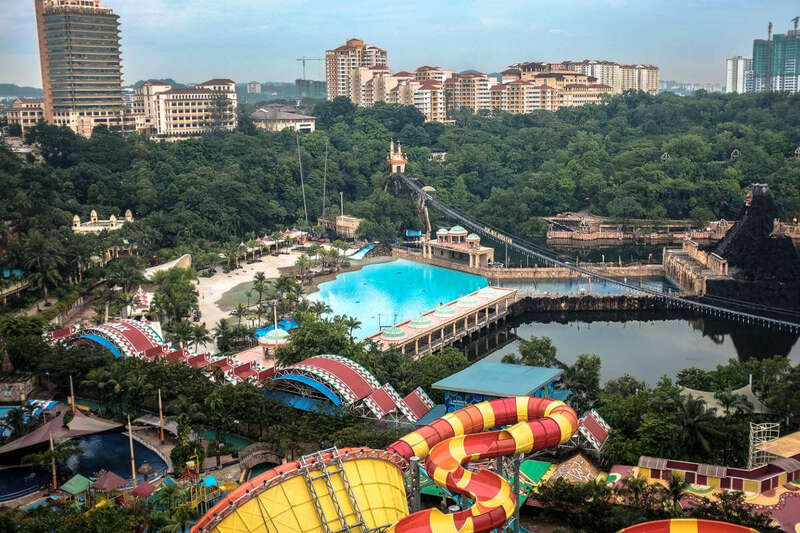 The Sunway Lagoon water park in Petaling Jaya is a great example of Sunway’s broad range of property development experience. Sime Darby Property is a division of the Sime Darby Group. They’re best known for work in the trading and logistics sectors, focusing on luxurious sustainable development. While its property subsidiary is lesser-known, it’s one of the most sound developers on this list due to its highly successful ownership. This soundness is certainly reflected in Sime Darby Property’s books. With nearly RM 2.3 billion in revenue and a healthy debt-to-equity ratio, Sime Darby Property has clearly become one of the top property developers in Malaysia. Sime Darby is perhaps best known for the KLGCC Resort, a golf resort sitting right on the edge of Kuala Lumpur’s city center. Like this stunning golf resort, a majority of Sime Darby projects are focused on sustainable luxury in urban environments. If you’re looking for a nice home in the suburbs of one of Malaysia’s major cities, IOI Properties will be one of your go-to developers. They specialize in comprehensive suburban communities that offer a vast variety of options for buyers. Just within its 16 Sierra community, property buyers can choose from stunning terrace homes for millions of ringgit or functional serviced apartments for less than RM 500,000. Like its focus on the suburbs, IOI Properties’ pricing is distinctly middle-of-the-road. Nothing is dirt cheap while nothing is mind-blowingly expensive either. IOI properties also expanded regionally into the nearby markets of China and Singapore. 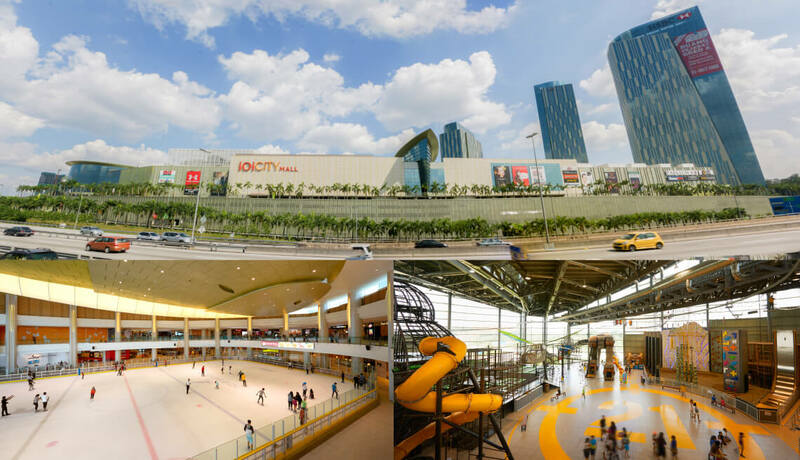 Over in Singapore, IOI focuses on high-end residential and integrated mixed developments. IOI has two developments in the Chinese city of Xiamen – the IOI Park Bay and the IOI Palm City. IOI mostly builds suburban residential projects. With that said, they’re still a diverse developer with assets including offices and malls. UEM Sunrise is a member of UEM Group, and its international presence has made it one of the best-known developers in Malaysia. Like some of the other developers on this list, UEM offers a variety of different property types, including high-rise residential towers and macro townships. UEM Sunrise is perhaps best known for its high-rise developments across Kuala Lumpur, such as the Arcoris Residences and Astrea. However, they also have plenty of residential community developments in both KL (especially Mont Kiara) and Iskandar Puteri. In addition to its Malaysian projects, UEM Sunrise has projects in Singapore, Australia, and even South Africa. In Melbourne, for instance, UEM has developed a number of luxurious offices and apartments. UEM Sunrise is also among the most stable developers on this list. Not only is it a member of the established UEM Group. It’s owned by Khazanah – one of the government’s investment holding arms. With a solid range of products and stable backing, UEM Sunrise sits among the top 10 property developers in Malaysia. In Malaysia, the Tropicana Corporation is synonymous with premium locations and luxurious residences. This established developer has worked on a variety of high-end projects in Kuala Lumpur and across Malaysia, including high-profile buildings like the W Hotel and TSB Commercial Center. 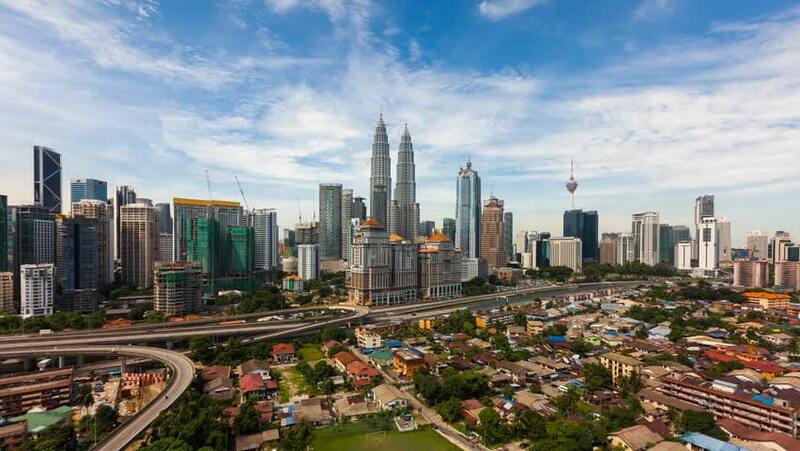 With over 20 years of top-tier experience in Malaysia’s property market, you can clearly see why Tropicana made it on this list of top Malaysian property developers. While Tropicana is known for glitz and glamour, you can nonetheless find a handful of entry-level options among its properties. Namely, in the Tropez or its Danga Bay Residences in Johor Bahru. However, if you’re seeking luxury, you have a world of options with Tropicana. The Tropicana Cheras villas in Kuala Lumpur offer quiet luxury in the city. For luxury resort-style living, check out Tropicana’s Golf Villas. Although Tropicana hasn’t expanded internationally out of Malaysia quite yet, its numbers are still quite impressive when compared to its more international contemporaries. Its revenue hovers around RM 1.6 million, and while that’s certainly not the highest on this list, it’s impressive for a purely domestic company. Notable Projects: Tropicana Gardens, Tropicana Residences, Tropicana Danga Bay, Penang WorldCity. Tropicana Danga Bay is the developer’s flagship project. 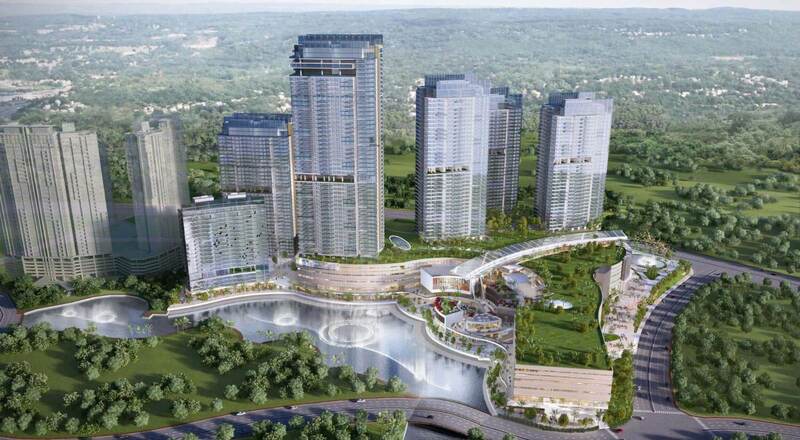 It’s a massive integrated development in Johor Bahru located right next to the border with Singapore. EcoWorld is one of the best-known and most highly respected companies in the Malaysian real estate development world. As its name suggests, the brand commits to sustainable standards in all of its projects. Founded by former SP Setia executives less than a decade ago, EcoWorld is relatively new to the Malaysian property development game, but it’s quickly become a major player. EcoWorld is best known for its involvement in major projects like the new Bukit Bintang City Center in Kuala Lumpur as well as the Eco Majestic, a self-sustained master-planned township. Additionally, EcoWorld has expanded its operations around the globe to the UK and Australia. Just as this Malaysia property developer is committed to sustainable development, it supports the EcoWorld foundation which aims to support education and literacy throughout Malaysia. Between its commitment to sustainability and support for charitable activities, EcoWorld is a real estate developer that you can feel good about investing with. Last but not least, IJM Land recently celebrated its 30th anniversary as one of Malaysia’s top property developers. This established market player is backed by the IJM Corporation – a major regional player in industries such as construction and infrastructure development. IJM Properties is best-known for major developments such as the Light Waterfront Penang, a luxurious waterfront development, and its stunning Sierra Hijauan in Ampang. Similar to many of the companies on this list, IJM also built developments in the UK and China, and it has developments in Vietnam as well. Additionally, as Malaysia’s property market continues to grow, so do IJM Land’s activities. The firm is constantly embarking on new projects. In fact, it plans on launching more than RM 1.7 billion worth of new properties in 2020. This innovative brand is a solid choice for buyers in Malaysia. Especially if you’re purchasing real estate in Penang, which is a focus city of this developer. Royal Mint Gardens in Penang is IJM Land’s largest project to date. 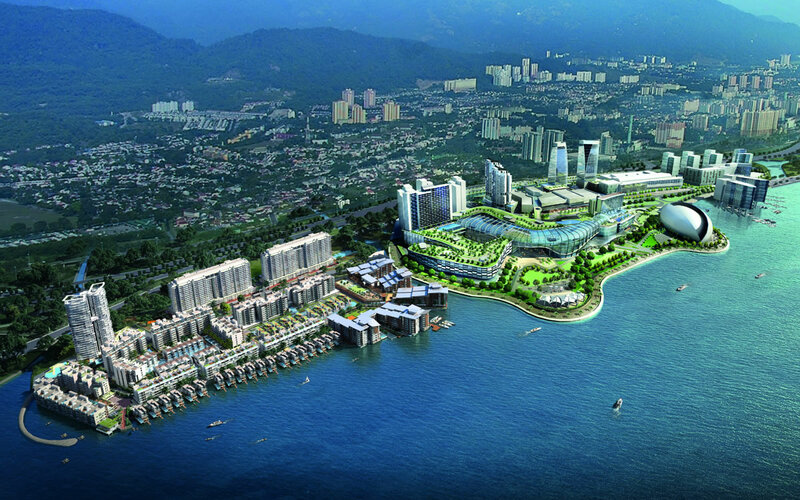 Once complete, it will feature one of Penang’s biggest malls along with thousands of residential and office units. Are Other Malaysia Property Developers Good? You’ll have dozens of developers to choose from when buying real estate in Malaysia. Lack of inclusion on our top ten list doesn’t necessarily make them a bad developer. With that said, not every property developer in Malaysia is a winner. Multi-year delays, poor finishing standards, and false promises aren’t unheard of. As a general rule, you should buy with a developer that’s listed on the Bursa Malaysia. Getting included on the Malaysian stock exchange implies certain quality standards and means they’re accountable to other stakeholders. Not just themselves and their profit margins. Do your own research too. Look up online Google reviews written by tenants who lived in the developer’s previous projects. Visit one of their completed buildings personally to see if it’s a vibrant community… or a ghost town. The showrooms and marketing materials some of these developers have are impressive. Yet they don’t always accurately represent the finished product you’ll receive. 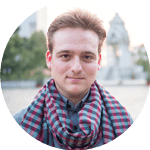 Reaching your own conclusions and not fully relying on the developer’s word is crucial. Lastly, consider reading our free guide to buying real estate in Malaysia if you’re serious about investing here. Taiwan Property: Asia’s Most Overpriced?